Rangers have today been linked with a January loan move for Liverpool’s Harry Wilson, it has emerged. According to Liverpool site readliverpoolfc.com, Rangers’ Head of Recruitment Frank McParland took in the Scousers’ U21 clash with Celtic recently at Chester, with the 18-year old winger featuring for Jurgen Klopp’s youth pool. 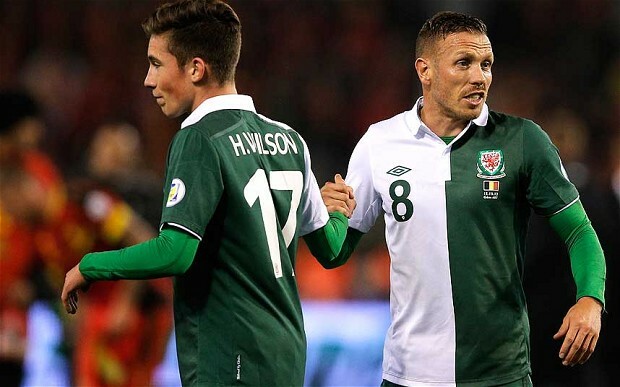 The youngster is yet another English-based player linked to Ibrox who hails from Wales, and boasts a senior cap (against the mighty Belgium, no less) for his country following several at the youth ranks. An appearance which, incidentally, broke the age record for Welsh caps, weighing in at 16 years and 207 days, previously held by one Gareth Bale. He was loaned out to Crewe in August, and was recalled as recently as the 1st of this month following a reportedly fine spell at Gresty Road, but may still be viewed as too green for a stint in the senior squad. With Rangers only having two (maybe three) established wingers (Oduwa and McKay along with Aird), such an acquisition would not hurt, but the defence, strike options and defensive midfield remain arguably more critical areas to supplement. If you think Mckay and Aird are wingers you are deluded. Both are played there, however if you study them you will see that both head inside on a regular basis. The team needs a shake up at the moment and i'd bring Shiels and Law back into midfieid for their goal threat . Also feel its time to restore Wilson to the defence . Cant believe a 6 foot something centre half couldn't win a 50-50 tackle against a skinny wee runt of a striker , to give away another pathetic goal on saturday . It looks like we're trying to hand this title to Hibs and we're hearing the same lame excuses every other week . Something needs to be done before it's too late ! Yes we need to get better ,but that's not improvement with Law or Shiels. I am pleased to see that Warburton is looking at wingers because for me, neither McKay or Aird will do for that position going forward. Aird might make it as a full back but I don't see McKay making the step up to the next level. As for bringing back Law and Shiels they do not appear to have recovered from the destruction of their skills that was undergone under McCoist and McDowall and sadly I don't see either of them as having either the winning mentality or the battle fever that we need in that team. There is no doubt that things need to change and that we need to have more options so that if plan A is not working there is a fundamentally different plan B but that will only come with the purchase of three or four quality players in January. We need a hard tacking defensive midfield player, (which has been the case from day one). We need a ball winning centre half that isn't intimidated by anyone and we need a big, fast centre forward that can win balls in the air. For the rest of 2015 we will just need to grind out results until new recruits can be acquired. there is a need to bring in 1 or 2 new players, and a punt up the park now and again would help. I agree with BT. we are not getting enough quick shots on target, as they were doing earlier in season, This is giving the opposition too much time to organise. I do think that they will come good again as they are a great squad of players. At the start of the season prob 80% wer new players who wer obviously running on adrenaline that edge seems to have gone plus teams have cottoned on how too stop us playing, so how can u keep playing the same way need to change it n catch teams off guard or I believe results or performances won't get any better in my opinion. Every time sheils plays he gives us a bit of creativity going forward linkin playin from midfield to the forward plus he like to get in the box n we seem to play better when he play's. Need changed end of. I think Sheils gives us something different, linking play, finding space in the holes, and scoring the odd key goal. Player of the Year nominees have seldom lost it despite the appalling mishandling he has experienced. He also has more physical strength than Zelalem or Holt or Oduwa. Needs a regular run to restore confidence.